An herb nursery in Rockingham County is positioning itself for growth, with plans to boost sales by $15 million and hire 15 additional workers in the next three years. 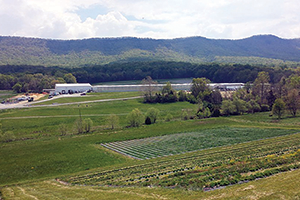 Harrisonburg-based Shen­­­­­­­­­­­­­­­andoah Growers Inc. announced the $8.7 million expansion in April. The project will increase its greenhouse space by 78,000 square feet and add new technology to grow plants at its current facility. It’s also moving its headquarters five miles down the road to a facility that will include new technologies to make its plants stronger and more flavorful. To help with the expansion, the company is receiving a $100,000 grant from the state Agriculture and Forestry Industries Development Fund, a matching grant from Rockingham County and funding and services from the Virginia Jobs Investment Program for employee training. The expansion will allow Shenandoah to meet growing consumer demand, says Tim Heydon, Shenandoah’s president and CEO. He says the new jobs will be in greenhouse production, with pay ranging from $9 to $12 an hour. The company, founded in 1989, sells fresh-cut herbs and certified-organic, herb plants under the Living Organic Herbs brand to major grocery stores. This year, Shenandoah also launched a Power Greens line, which will be available throughout most of the mid-Atlantic by the fourth quarter of this year. “These are live plants that are ready to make a smoothie, for example, so we have kale and some other greens,” Heydon says. Heydon started working with Shenandoah in 1997 as part of his MBA project at James Madison University. One of the company’s founders had recently died, and co-founder Mike Sarco asked the school for help with business planning. After graduation, Heydon worked out a deal with Sarco to become Shenandoah’s president and CEO. (Sarco still stays in touch with the company but no longer owns it). Shenandoah initially fo­­cused on fresh-cut herbs, but it introduced its Living Organic Herbs brand in 2008. “That was a win-win for both us and for the supermarkets because it ultimately grew the category for fresh herbs,” Heydon says. Still, the challenges Heydon faces today as a business owner may not be that different from when he began running the company after obtaining his MBA.